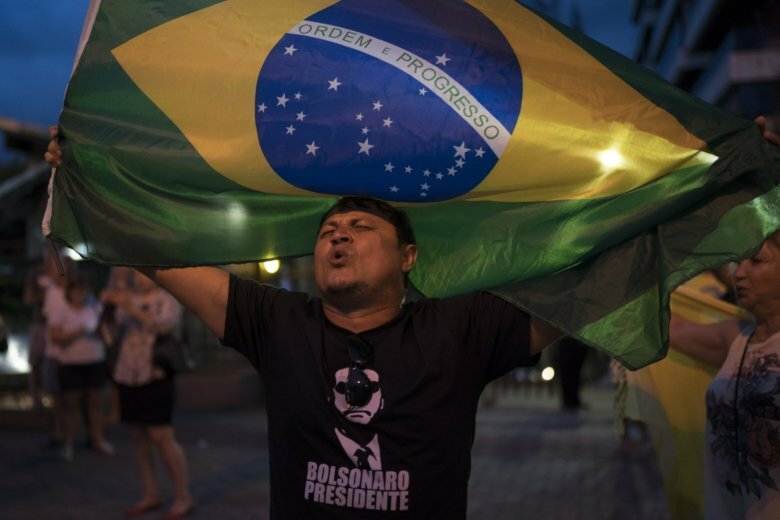 SAO PAULO (AP) — The man leading Brazil’s presidential elections polls skipped a key debate before Sunday’s vote, but was still the center of attention. Far-right congressman Jair Bolsonaro said his doctors didn’t allow him to participate in the TV Record debate because he is still recovering from a Sept. 6 stabbing and left a hospital only on Saturday. But his status as first-round front-runner made him the chief target of the six candidates who did appear Sunday, even if he’s trailing in likely head-to-head matches for the Oct.28 runoff. Centrist Marina Silva, who has been slipping in the polls, denounced Bolsonaro for saying last week that he wouldn’t accept any result except his own victory. “These are the words of someone who is already afraid of losing. He will lose because of his authoritarian attitude,” Silva said. Left-leaning Ciro Gomes, who polls third, said Bolsonaro’s claim of possible fraud is “frightening” because there is no evidence of that. Fernando Haddad of the center-left Workers’ Party has been closing in on Bolsonaro, aided by the support former President Luiz Inacio Lula da Silva, who had been leading in the polls but was barred by courts from running. Market-friendly candidate Geraldo Alckmin painted him as a leftist danger, a counterpoint to the rightist Bolsonaro. “It is amazing how radicals attract each other; that is not the path to go,” Alckmin said. A total of 13 candidates are on the ballot, but most have minimal support.